How often do you think about what your designs will actually be made into or who will be using your design? 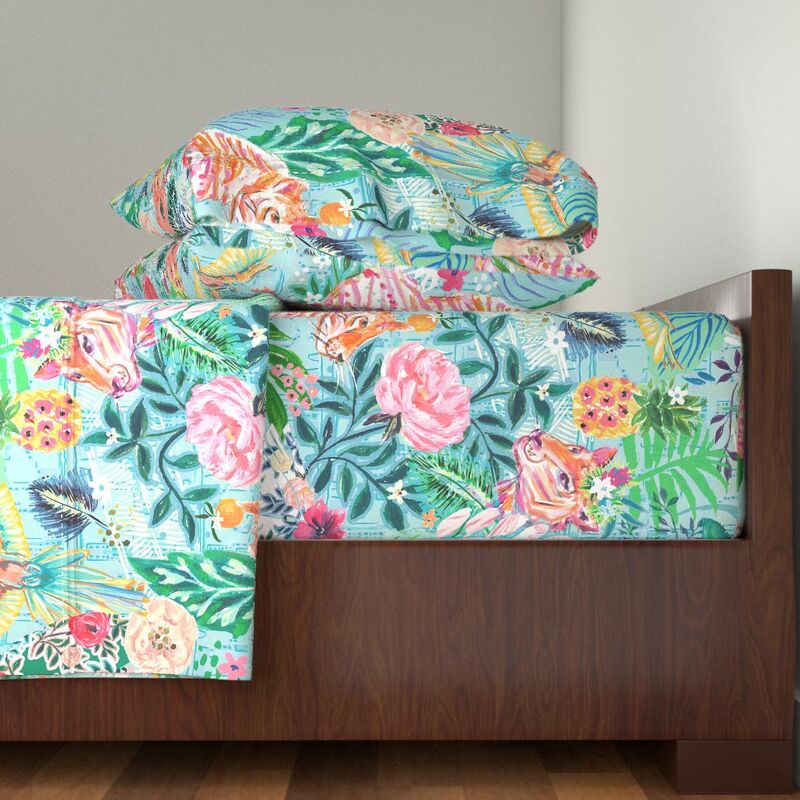 If you have an idea of how makers may use your designs on products in the future, it can help you to create print and pattern offerings that will look incredible on everything from apparel to statement wallpaper (and get your name out there!) If thinking about the end use makes your creation process feel daunting, fear not! 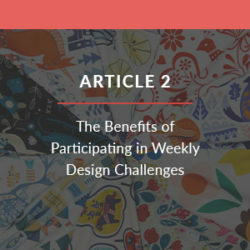 In the sixth installment of the Spoonflower Seller Handbook, we are covering tips for designing for end products and how to interact with makers. Let’s start at the beginning: inspiration hits and you are ready to create your next best-selling surface design. You begin the initial sketches and creative exercises that will bring your ideas to life as seamless surface designs. But what’s next? 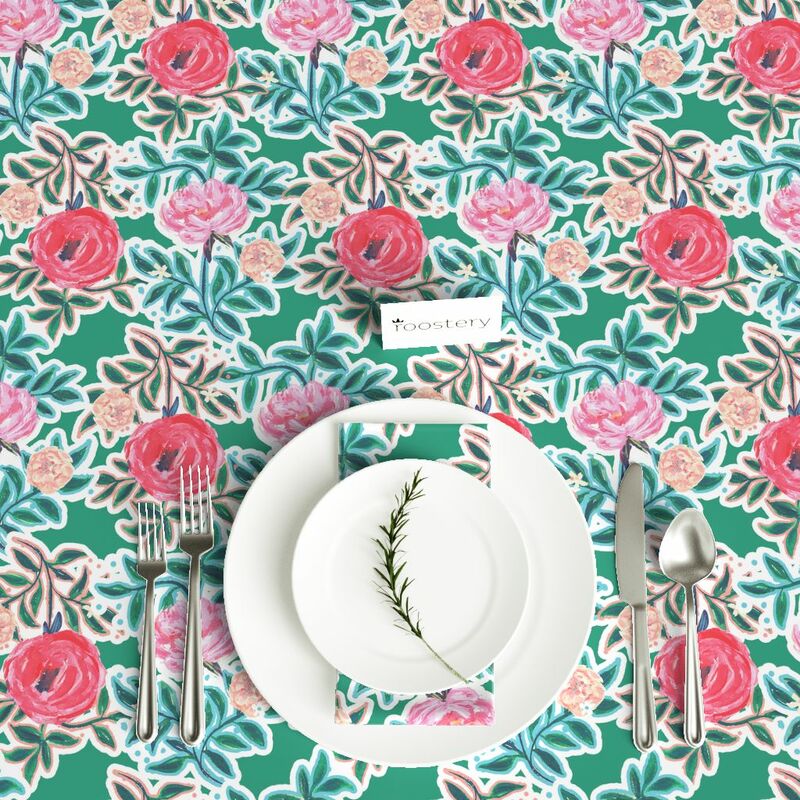 How do you know if your design will actually be popular and successful in the Spoonflower Marketplace? By envisioning the products people will create with your artwork, you can more thoughtfully design prints and surface designs for different use cases. Designer Jeanetta Gonzales shows how one design can look completely different on products when made in various scales. 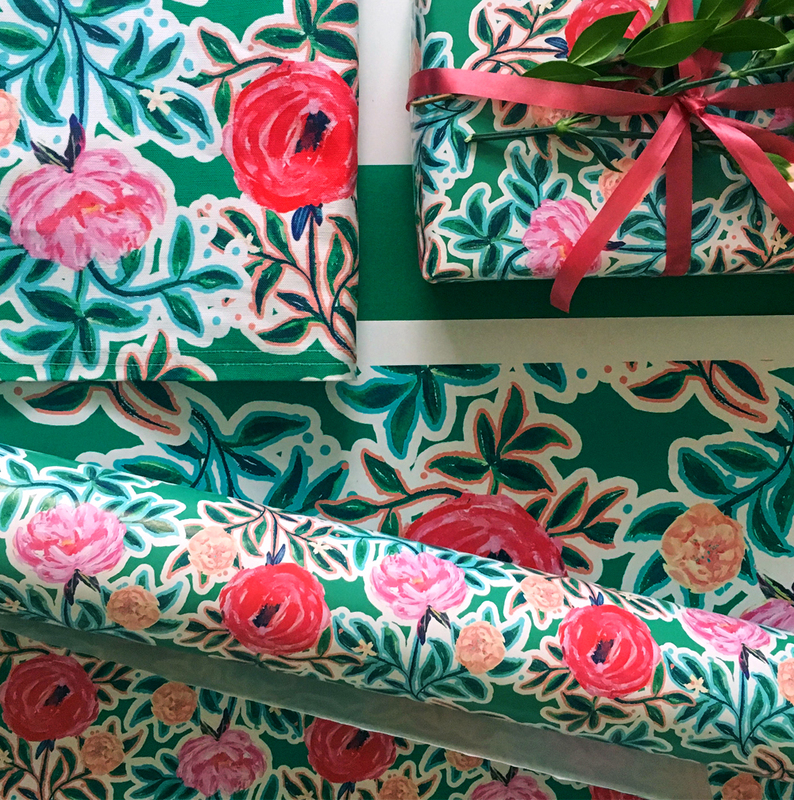 Before you swatch your design and make it for sale in your Spoonflower shop, visualize how your prints will look in real life using the product previews on our sister home décor site Roostery. These mock-ups will help you see how your design would look on a variety of home dec items. 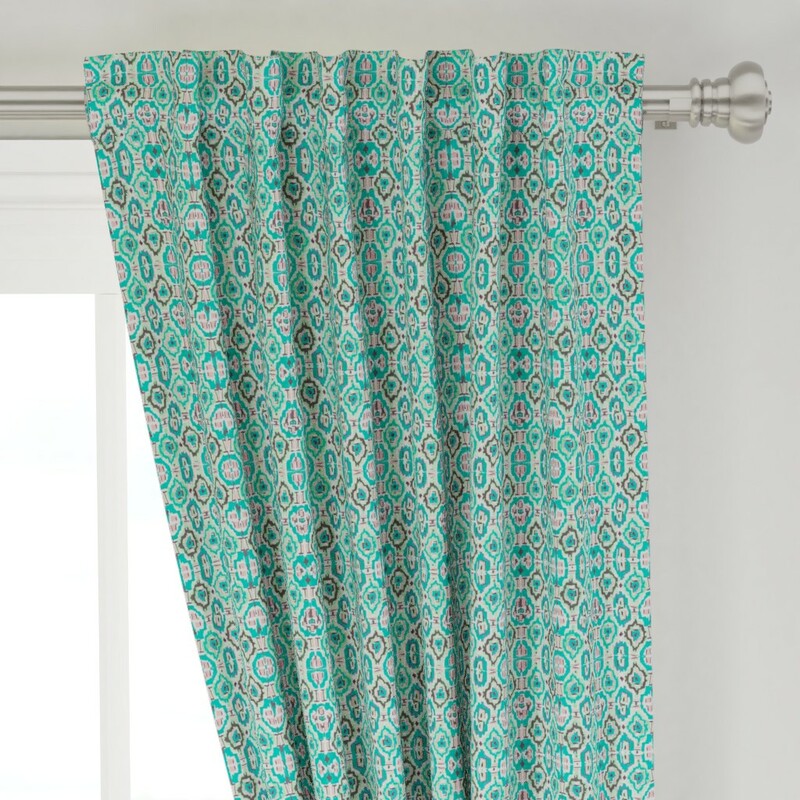 You will begin to see that items such as a duvet cover or curtains that have larger surface areas work well with larger scale designs, while smaller items like napkins and bags work well with designs that have a smaller scale. 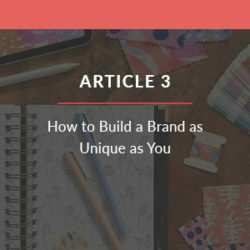 As designer Jeanetta Gonzales shares in her blog series, the scale of your design can dictate the overall look and feel of a product. Previewing your patterns on Roostery allows you to critique your designs on multiple products and make changes to ensure that your work looks the absolute best when it is for sale. If the previews available through Roostery and aren’t enough to fulfill your personal product mockup goals, being able to create your own mock-up is a very useful tool for bringing designs to “life”! 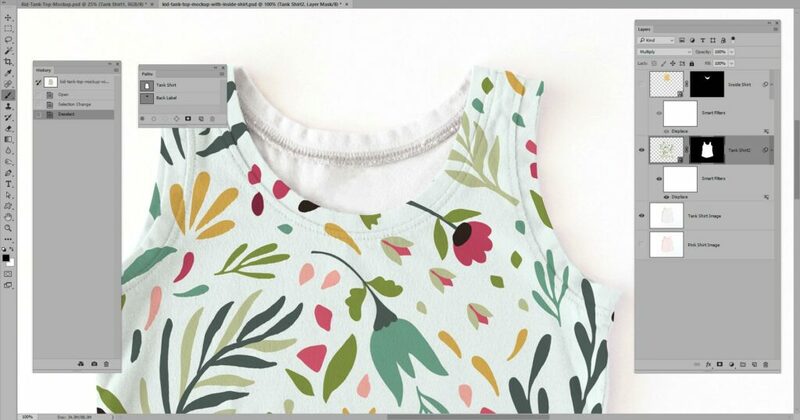 One of our favorite tutorials by illustrator Denise Anne shows you step by step instructions on how to digitally present your designs on shirt mock-ups — a great tool to envision prints on apparel. 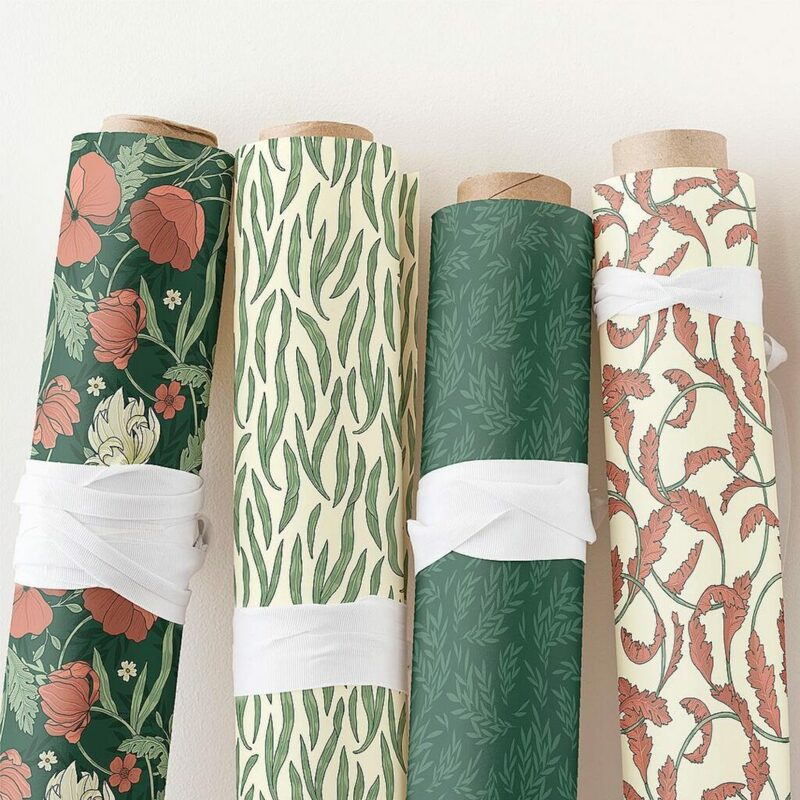 Designer julia_dreams utilizes stock photography to present her new coordinates and collections as rolls of fabric, so that her customers and fans can easily see how the designs work together visually. 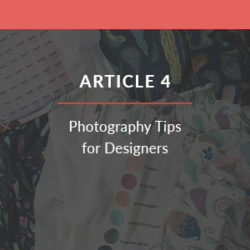 Learn more about showcasing your designs with photography in article four of the Spoonflower Seller Handbook. One of the greatest skills you can have as a designer on Spoonflower (after designing, of course!) is being able to connect with people who make items with your prints! 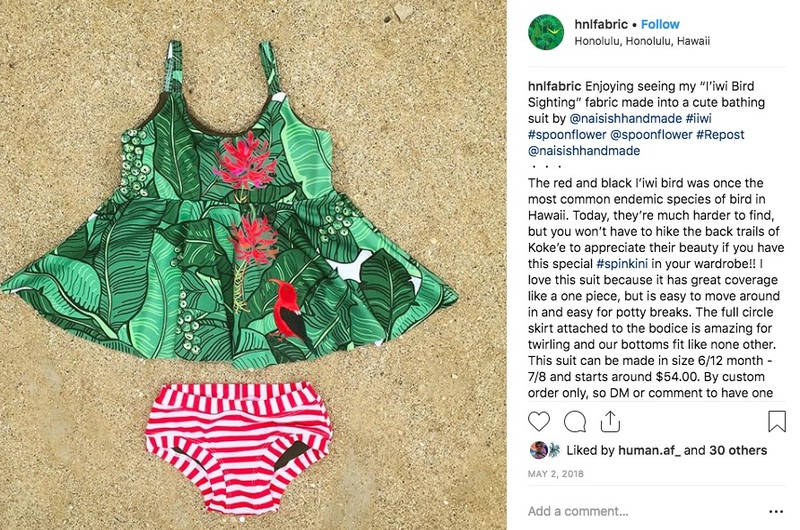 If you get a notification on social media or a message on Spoonflower that a maker has used your design on a swimsuit or a pair of baby leggings, reach out to them! Introduce yourself or say hello again, thank them for using your design and ask if you can reshare the picture (providing credit to them, of course). 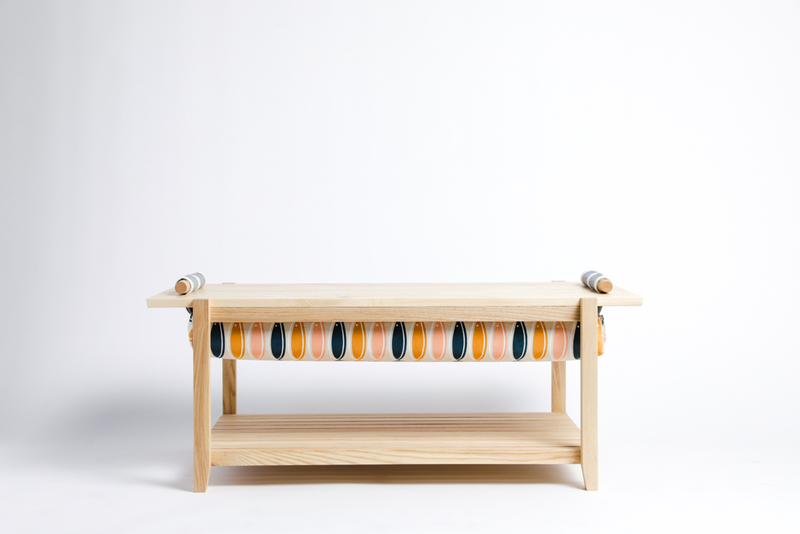 This is a great way to build your relationship with this maker and connect with potential new clients! Designer Crystal Walen highlights how customers are using her designs on her Instagram feed. 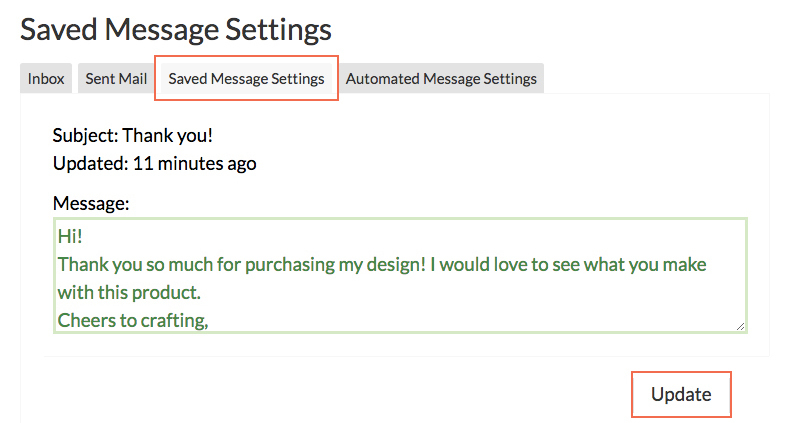 Pro tip: Did you know you can create an automated Thank You message that will be sent to customers when they order one of your designs? 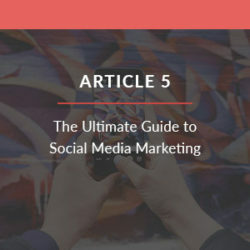 This is a great way to connect with handmade business owners who are using your designs on their products. Active on social media? We recommend including your social media handles to encourage sharing (and tagging) pictures of their final projects! Many people need to be shown what is possible so that they can envision making something for themselves. For example, let’s say I make swimsuits and I like your designs. 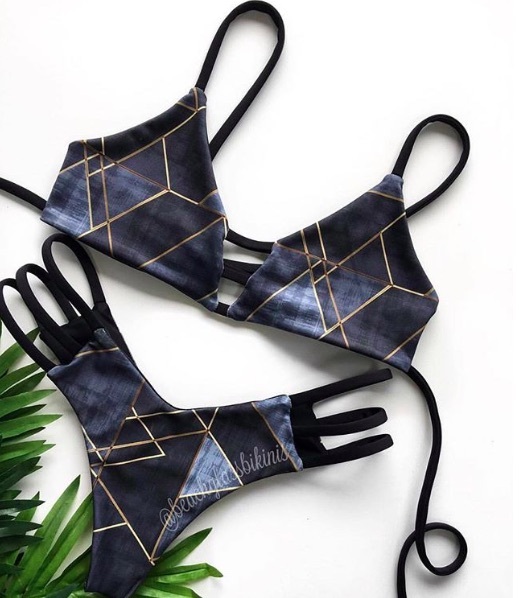 I might not make the connection to use your patterns on my own handmade swimwear unless you show me examples of your designs being used in garments elsewhere. Now that you reshared a beautiful image of a dress with your design, I can see how the scale would look on apparel, and now I can’t wait to reach out to you and see if we could work together on something amazing for my swimwear line. Be proactive in creating partnerships. 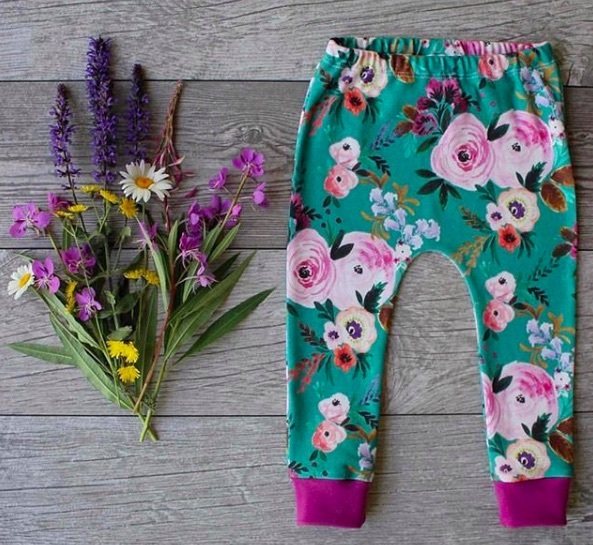 Some of our coolest partnerships and community connection stories result from makers and Spoonflower designers joining forces and collaborating with a specific product in mind. 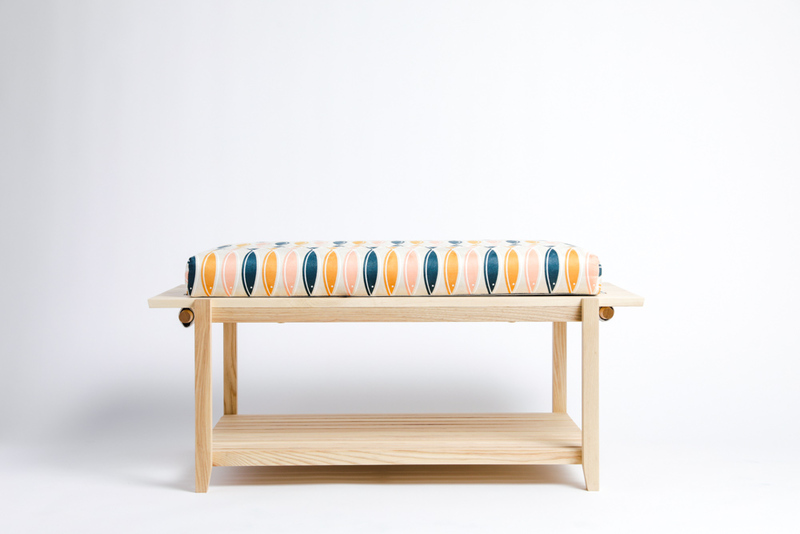 Last year, Indiesew founder Allie Olson and designer Dan Lehman joined forces to create a show-stopping collection of fabric (learn more about the collaboration here). 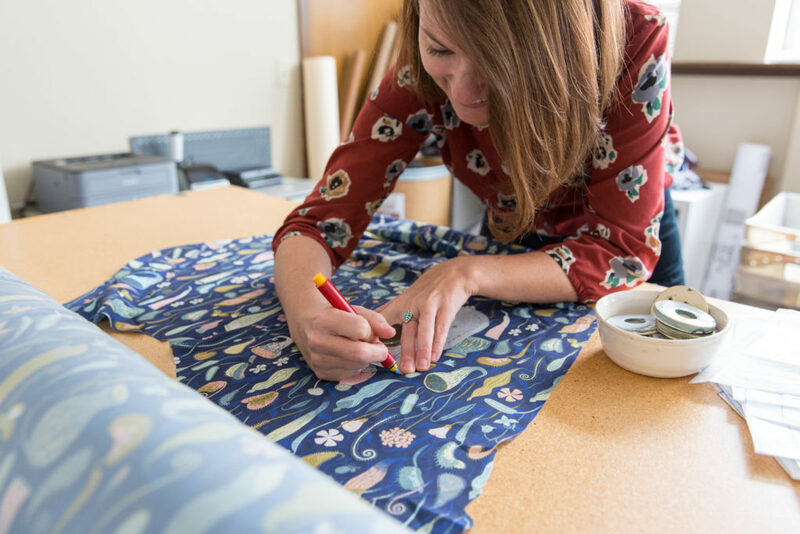 Both based in Colorado, the two met through mutual friends and after some small talk, some big talk, and lots of hard work, they produced an amazing collection of printed fabric for sewing apparel based on designs Dan created and sold in his Spoonflower shop. Allie Olson preps samples for the Indiesew x Dan Lehman collection launch. Another example of a fabulous partnership is this incredible room revamp that Jewel Marlowe presented in the Spring 2018 One Room Challenge. 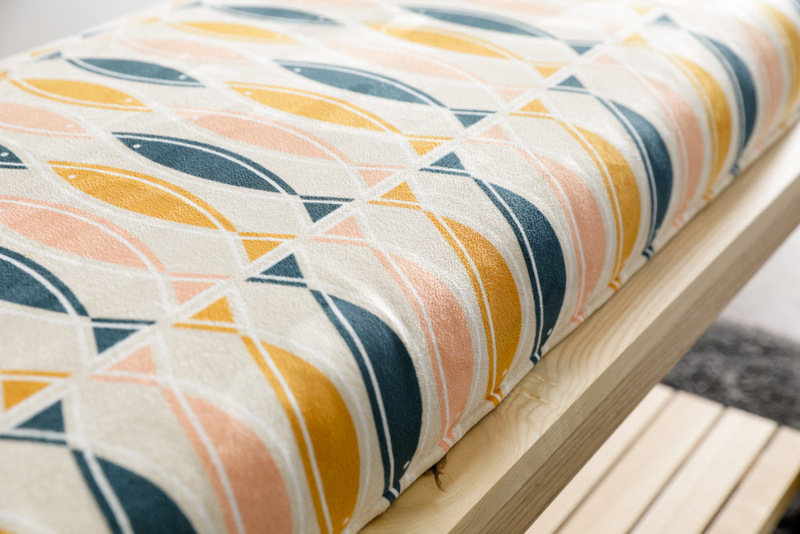 The interior blogger collaborated with designer Ashley Peterson to create a cohesive design collection called The Bold and the Beautiful, which was then used to transform Jewel’s space. 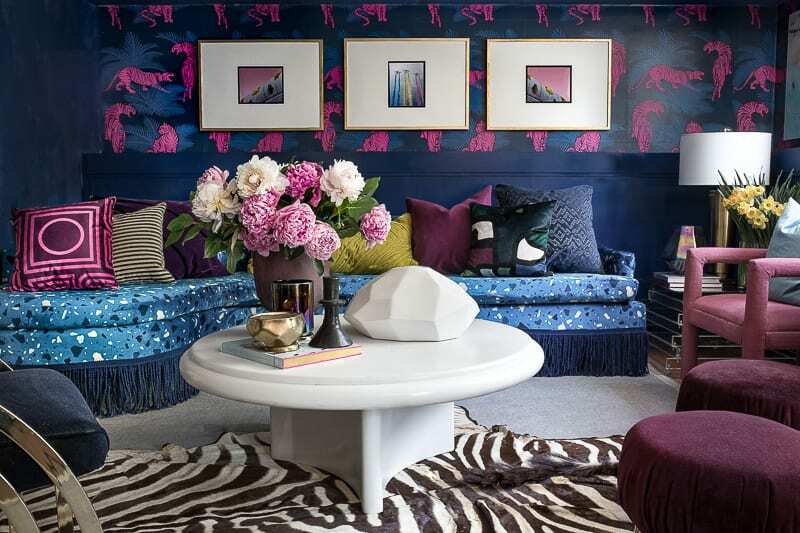 Combined with the sheen of Celosia Velvet™, Ashley’s designs took on a whole new level of elegance in Jewel’s home. The strength of your community, your connections, and your possibilities is only limited by how far you’re willing to reach. By thinking about how your patterns will become products and networking with the community, you can take your designs to the next level! I didn’t realise that you could preview designs on Roostery before they go on sale! Could you please explain how to do that?